If an animal needs you, you’re there, during hours and after hours. 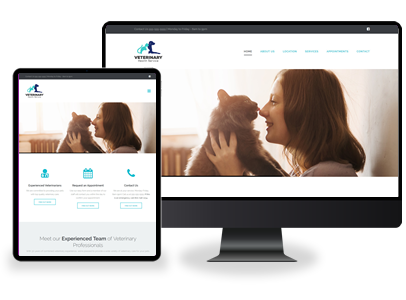 You juggle the responsibilities of pet and pet parent care, office management, research, and continuing education. Our stress-free services will put your practice on the digital map without adding to your burden. Remember when you looked up phone numbers in a phone book? These days, the majority of consumers search for local business online. They’re looking to become your customers. Can they find you? And when they do, will your site earn their trust? Fill out a simple survey where you choose colors and styles. Send us samples of websites you like and dislike, content and images for your new site. 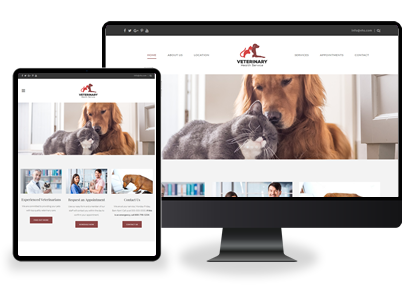 Working with your account manager, the website designer creates a website based on your information and specifications. We’ll send you a draft once it’s ready. We implement your revisions, and the website is launched! With full cooperation, we can launch your brand new website in just a few weeks! Select from the below templates so we can get started. Don’t worry, we can fully customize these to fit your practice’s needs. 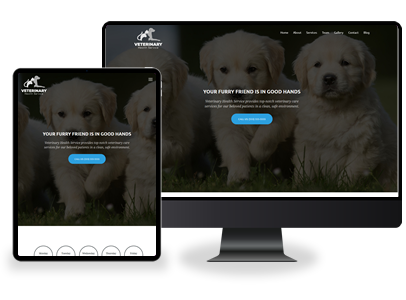 ➝ Get Your Website for Free! When pet parents search for your practice, they go to social media first. There, they get to know you, read reviews and find your hours and location. You need an up to date social media presence to meet your clients where they are. 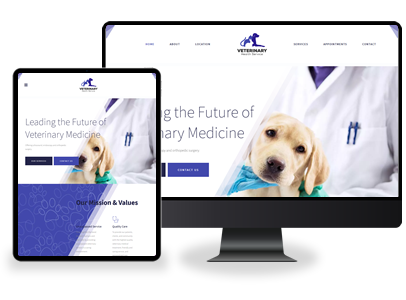 If you don’t have social media pages currently set up, DVM Galaxy will set up your pages and load them with information and images from your practice. If you already have pages set up, DVM Galaxy can help you update your photos and information. That’s why successful websites use SEO to ensure that Google searches can find them. We’ll help you understand the data to keep your website discoverable and bring you more clients.